Every pet needs to spend quality time with their owner. Long hours and hectic schedules are doing neither your pet nor you any favors. The modern lifestyle often sees our pets being neglected regardless of how much we want to be there for them. With the advent of smart pet cameras, keeping an eye on and in touch with the little bundle of joy has become a lot easier. Not only can you now see what Fido is up to, but you can comfort, play with, or even feed him from your office or hotel room! While it’s no substitute for a game of catch or a good scratch behind the ears, a pet camera can make the wait until you finally come home much more bearable for both of you. We’ve assembled the six best pet cameras currently available and reviewed how they perform. Among them you’ll find a good variety of price, features, and design, so picking out one that fits both your preferences and your budget shouldn’t take long. If you still have doubts after reading each pet cam review, turn to the buying guide for extra insight. What to Look for in a Pet Camera? 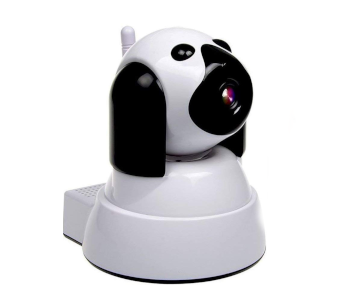 Although not designed to, a pet cam can act as a successful security camera. Go for a resolution of 1080p if you’d like it to be able to more reliably capture faces or you want to printout the stills your camera takes. 720p is completely viable too, but the footage won’t be as rich in detail. A finer degree of control is a definite plus. Being able to tilt, pan, and zoom into the picture will help you hone in on whatever’s happening. Night vision helps monitor your home without keeping the lights on or disturbing your pets’ sleep, and it’s a feature that saves power while increasing your home’s security. Other features being equal, always get a camera which supports night vision. Having 24-hour access to your pet cam’s video stream is great, but the feed is probably boring most of the time. Motion and sound sensors will pick up on the animal’s activity and will let you know that something’s going on in time, leaving you to concentrate on other matters without having to worry. Good pet cam apps usually have options that let you customize the sensors’ sensitivity and notification frequency, so find a camera that lets you fine-tune these to a level you find comfortable. Your pet cam can have all the bells & whistles and still be useless if the accompanying app is a mess. The app’s interface should be straightforward and each control or feature should be easily accessible. Before buying, it’s a good idea to download a few prospective cameras’ apps and give them a go. 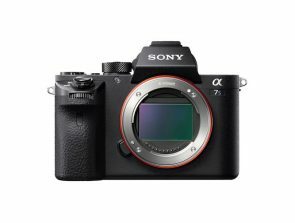 They will be limited without the camera, but you’ll get to see hands-on whether the interface is intuitive, what about the camera you can control, and more. Most pet cameras establish a connection to your smart devices over Wi-Fi. The better the camera’s video output, the more bandwidth it will use while streaming, so make sure that you reserve some for it in your router settings. Wi-Fi can also be weak in certain areas and the connection to the camera will be sporadic or unstable as a result. Some cameras have Ethernet ports to get around this. As a last resort, consider a camera that uses Bluetooth as a means of connection if you only need to monitor one room from another. Pairing a camera up with a food dispenser is a smart and considerate way of interacting with your pet on a deeper level while you’re away. A good food dispenser should release a small number of treats that’s fitting as a reward. Support for differently-sized treats and multiple trays is also something to consider. Cats go nuts for moving laser pointers, and dogs aren’t indifferent either. Playing with them by moving the laser around is another way of bonding with your pets. Certain cameras like the Pawbo Life even connect to other fun devices for a more comprehensive play experience. True to its name, the Petcube is a cube with rounded edges available in three finishes you can display prominently on a shelf or use in tandem with a tripod to get a more interesting angle. As long as there’s a Wi-Fi network to connect to and an outlet nearby, setting up and connecting the Petcube is a cinch. The camera’s quality is exceptional for its purpose – the 1080p recordings it makes are on par with full-fledged security cameras, as is its night mode. A wide field of view ensures that you can observe your pet’s antics in an entire room, and two-way audio lets you chime in and either scold or encourage them. For a more hands-on interaction experience, you can turn the laser on and move it around for the furball to play with via the Petcube app. Using the app is where things start to really get interesting. You can stream the camera’s current feed in it, review up to 4 hours of recorded footage per month (10 or 30 if you choose to pay as many dollars in monthly fees), or receive notifications whenever movement triggers the Petcube’s sensors. 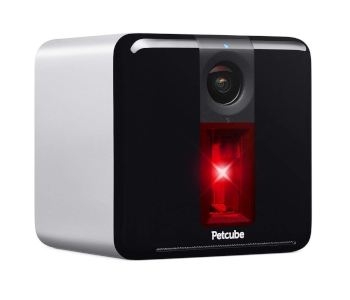 Another interesting addition is the ability to connect to other Petcube users’ feeds and play with their pets via laser. While you might not want to make your own feed available to the public, it’s great that you can chip in and show some love to abandoned animals in shelters. Although fun, the laser can be a little tricky. Since you’re guiding it with your finger on a touchscreen, its movement can be erratic or jittery, and most of the time the pointer doesn’t end up quite where you wanted it to be. Sometimes the app will indicate that there’s a connection issue, and you’ll need to reconnect the Petcube to your network to fix the problem. If you’ve got a large household, chances are that most of them will want to check up on the family dog from time to time. Most pet cameras allow only a single user to access their feed, but Pawbo goes a step further by giving access to up to 8 users along with offering a host of accessories that make interacting with the pet that much more fun! 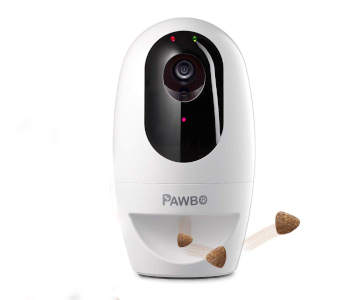 The Pawbo life has everything you’d look for in a modern pet camera – there’s the unobtrusive and cool design that harbors a capable video camera, a food dispenser to keep your pets from going hungry, and a laser to entertain them while you’re away. The dispenser is divided into sections which you can fill with equal portions of the same treat, different treats, or even pet medication. You can set up a sound to play each time the food is about to be dispensed, training your cat or dog to come and have some right away. Once they’ve had their fill you can entertain your pets by either talking them through the speaker, or having them chase around the Pawbo Life’s laser. You can manually control the laser, or set it to automatic. The fun doesn’t end there though – the Pawbo Life acts as the hub for Pawbo Themepark, a set of accessories like cat teasers you can use to remain on your cat’s good side. As mentioned before, 8 users can install the app and have access to the same camera. 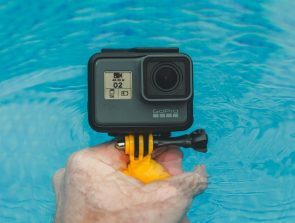 The 720p videos and pictures it takes can be stored on your smartphone or a cloud storage service like Dropbox and shared with friends on social media. Their quality is average, and will do fine for pet monitoring. The Pawbo Life is relatively small, which means that the treats stored within will need to be small too. While 8 people can access the camera, only two of them can do so simultaneously. As with the Furbo, the camera can’t be panned or tilted. Dimensions: 4.4 x 4.4 x 7.9 in. Who could have imagined 20 years ago that you’d one day be able to interact with your pets from half the world away and catapult treats in their general direction when they behave themselves? 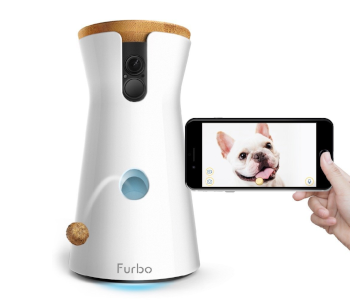 Furbo’s dog camera lets you do just that while adding its own unique touch to the room you monitor with it. The Furbo’s elegant appearance is a plus point we didn’t even know we’d care for until we saw just how great it looks! The camera resembles a tall vase and looks great among books or family knickknacks with its pristine white finish. The design is both classy and functional – the vase shape allows for lots of treats to be stored within, and the camera’s height along with its lens placement gives you a good overview of the room, especially if the camera is placed on a higher shelf. Video is recorded in a great-looking 720p, going toe to toe and even exceeding the quality of surveillance cams in the same price range. Different animals and their surroundings are easily discernible and in focus. Night vision is also an option, as is 4x digital zoom accessed by pinching the screen. Naturally there’s some quality loss when the zoom is on, but the ability to get a close-up of Rover chewing your couch cushions up is priceless. Dispensing treats is arguably the most fun thing you can do with the Furbo – connect it to your home’s Wi-Fi, install the app, swipe your finger from the bottom to the top of the screen, and watch as a treat (or 2-3 depending on their size) shoots out in front of the expecting pet. The app warns you not to aim straight at them, but even if a pet does get hit they’ll be a bit annoyed at worst. Furbo features two-way communication like most other pet cams, but the sound quality of its speaker isn’t on par with that of the actual camera. Its overall shape & size also impose limits on where the Furbo can be placed. Since you can’t move the camera in any way, you’ll need to find a place with a good overview. Dimensions: 5.9 x 4.7 x 8.9 in. Proper camera positioning can give you a good overview of an area, but limiting surveillance to that one angle can cause you to miss out on the mischief your pet is up to. The Petkit Mate handles this inconvenience with its smart cylindrical design and movement capabilities. Tracking your pet’s activities has never been more intuitive. Once unpacked, you’re greeted with a smallish cylinder clad in either metal or a fun pattern, depending on the version of the Petkit Mate you ordered. A black central slit houses the camera lens and an indicator light while an LED ring at the bottom can serve as an ambient light. 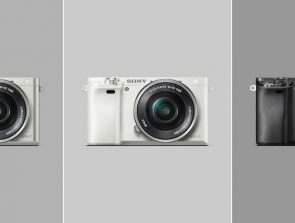 Clearly the camera is stylish, but what can it do? Rotate! When accessed through the Petkit Mate app, the whole cylinder rotates 340 degrees, so a complete room is covered if you place the camera in its center. The lens can also be tilted 140 degrees. Coupled with its strong microphone and speaker combo, the camera can be used effectively to communicate with your pet or people in your home. Apart from rotation control, the app is pretty standard. You use it to take stills or 10-second recordings in 720p, monitor the stream, or talk with a barely noticeable delay. The camera’s internal microphone can be turned on separately when you only want to hear what’s going on without interfering. If your pet is bored, you can activate a laser for it to chase. You can’t control it though as the pattern is random. It’s a shame that the camera doesn’t have a night vision mode as being able to see the state of your home in the dark would have made it more useful. Dimensions: 3.6 x 3.6 x 7.7 in. When left alone and unattended for long time periods, animals tend to get cranky, restless, and anxious in the worst case. With PetChatz HD, you can calm the rascals down, have a one on one chat with them, and even give them a well-deserved treat. It’s the most personal camera on our list, but is it worth your and your pet’s time? 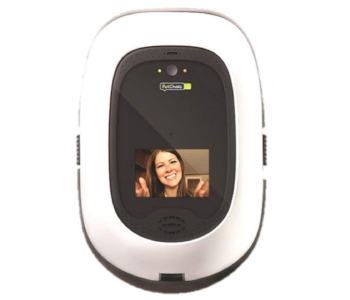 The unique thing about PetChatz HD is the way in which it is meant to be installed. The camera comes with a mounting bracket which is placed directly over an outlet so that it’s at eye level with most pets. Whenever they get upset, this comes in handy as there’s a scent dispenser you can activate to release a cloud of soothing mist at them. The treat dispenser is located at the bottom and doesn’t shoot them out like the Furbo does. As it will regularly come into contact with your furry friends, it’s good that the PetChatz is rounded, safe, and scratch-resistant. Along with having a two-way speaker, it also sports a small LCD screen so that you can interact with the pet more completely. If you get the PawCall, your pet can even reach out to you whenever it needs reassurance. The image you receive of them is in FullHD and looks great both in bright and low light. You can use the PetChatz app on any mobile device, or access it from a computer. It saves up to 30 half-minute clips of the pet’s activity triggered by motion sensors, allows streaming, two-way calls, and scent/treat release. All of the app’s features and storage are completely free. While nifty to have, the PetChatz HD camera is a niche gadget whose price many people will find prohibitive, even more so if you take all the refills and extra accessories into account. You can’t even dispense your own treats as the hole has been designed to accommodate proprietary treats only. Due to its position, the camera doesn’t provide a good overview of an entire room. You can buy separate mounts for it though, making the purchase even more expensive while rendering features like two-way calls useless. What if you don’t want to fatten your dog up with all those tasty treats or make her go crazy chasing after a laser? If you need a barebones pet monitor that’s very affordable but has a capable camera and all the features you need to keep an eye on your fuzz ball, there’s really no need to go for anything more extravagant than Yooan’s handy camera. The cute puppy shape this camera comes in will both make you go “aww” and have it blend into its surroundings better. Place a few toys around it and neither your dog nor a burglar will be none the wiser. Conveniently acting as its nose, the camera lens is able to both pan and rotate, giving you a great overview of the surroundings. For a sub-$50 camera, the 720p footage is gorgeous! While not good enough to shoot an indie movie with, the camera does the job of keeping up with your pet well. Strong LED lights are enough to make night vision footage clear up to 45 feet away. 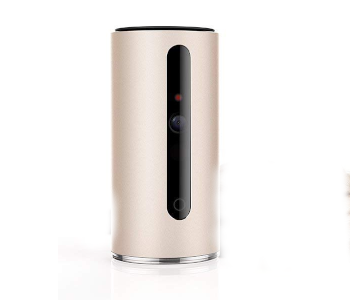 Coupled with its remote-controlled movement, the Yooan offers exceptional surveillance capabilities for its price. Other standards like live streaming its footage through the app and two-way audio communication are also present. 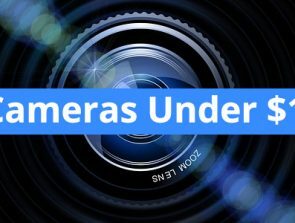 You can set the camera to kick in each time its motion sensors pick something up, and the resulting footage can be saved internally to a micro SD card. Setting this puppy up is easy, but establishing a strong connection to it isn’t. Wi-Fi is prone to connection loss, and although you can compensate by plugging an Ethernet cable into the camera, this limits your placement options. The video feed can be spotty at times, especially if you’re viewing the footage from outside the camera’s own network. Dimensions: 7 x 6.5 x 4.5 in.